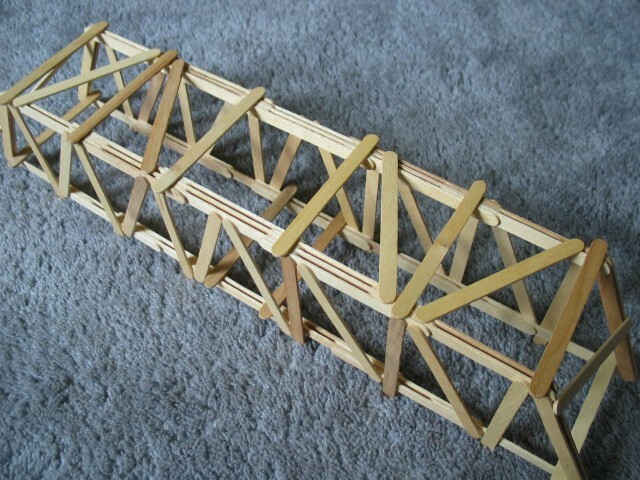 for my class, i have to build a bridge 20 feet wide, with ELMERS GLUE!! ill never get it done with that. elmers. eww. so i think ill use one of your designs. 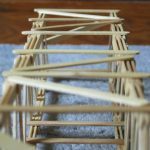 i have to roll a matchbox car on my brigde but how would i place them? 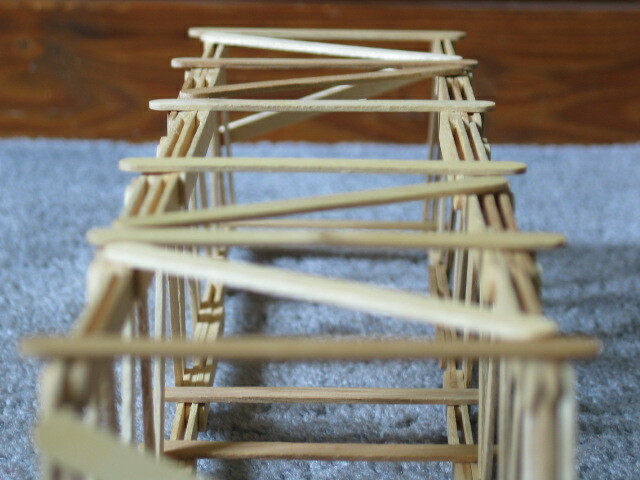 Hello–Like many, my bridge has to be designed so a matchbox car can drive across, but with less than 100 sticks. If I had to sacrifice 5 or so sticks, does anyone have any recommendations? hello? I have a question to ask. how can a vehicle cross your bridge if there’s a cross bracing in the entrance of your bridge? just curious. 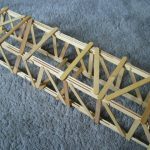 You will see this on real truss bridges, that they have lateral bracing at the top of the bridge, but still allow for enough room for cars to pass underneath. 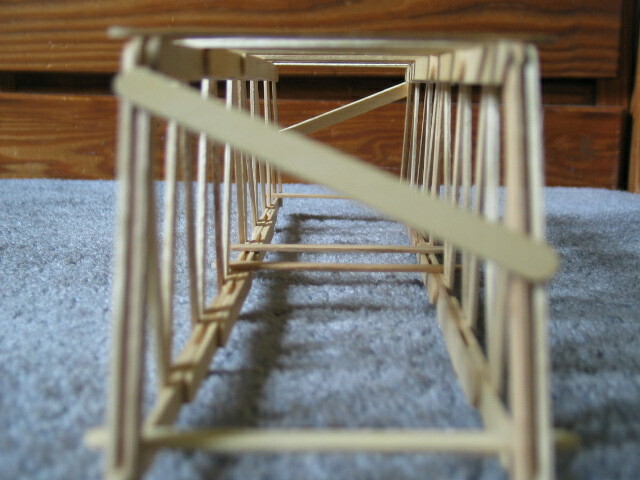 In this case, this bridges was not designed to have a car going across it. also,,, i was wondering what type od glue you used ? wow i love this website i almost won a contest. umm how did ou get to attach the walls to the top and bottom i kicked it slightly and it like EXPLODED!!??? thnks for the hepl dude! was this bridge on any MESA competition? I have never been to a MESA competition. However, it is possible that someone used this design at one of their competitions, but I do not know. 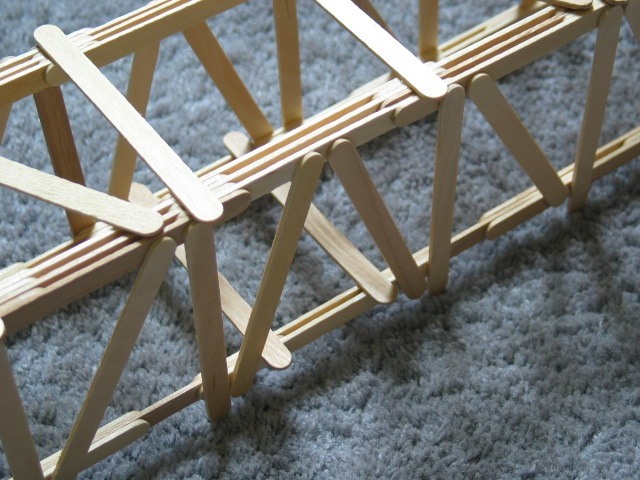 hey i hav a science project to see if u can build a bridge with the least amout of popsicle sticks and hold the most im excited and i hope ur desings will help mine thx its been a grea help!! 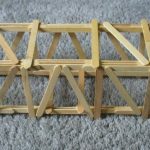 It would have held much more if it had more strength holding the two trusses together. Basically if there were more X’s running through the center. 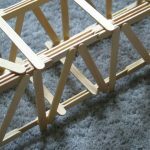 If you look at it in picture “D” you will see only two Popsicle sticks keeping it from just “Falling over” I wasn’t there to see it break, but my guess is that it broke (fell) to the left or right rather than strait down. Eric, that is a good point. However, I don’t think that is why this particular bridge broke. I think some of the joints in the top chord failed first. Amazing!!!!!!!!!! I can’t believe you built that from scratch!!!!!!! That is definitely going on my science project!!!!!!!!!! Peace out!!!!!!!!!!!!!!!!!!!!!! whoa! dude i love that tower building thingy. That is a good question, John. 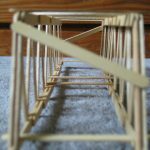 However, as the scale does not weigh very much (under a pound), I don’t include the weight of the scale in the calculation of the bridge’s efficiency. hey hrey this site is the BOMB! Hello A+!!!!!! 53 queries in 0.559 seconds.